Joomla is the most powerful open source content management system which enables you to build remarkable web sites and online applications. It runs on a web server and multiple users can access and create the content. Joomla Framework is coded in practical PHP programming. Joomla uses WYSIWYG (What-You-See-Is-What-You-Get) editor for the creation of content. This editor allows modifying online content. Hence, there is no need to know any HTML code for modifying content. Why this Open Source Tool is used? Many people use Joomla as it is one of the most powerful software that is available free. Web developers prefer to use Joomla because its deployment time is lesser than other development software. Free Online Software: Joomla is widely used by corporate around the world as it is available free of cost. It offers free modules upgrades, building extensions, editing content …etc. Effective Website: Joomla gives an opportunity to create an effective website as it processes and represents the data effectively on Website. It also makes sure to resolve the customers’ queries in real time through an automated system. Easy Installation: Joomla has an easy installation procedure. A web developer can easily create websites in a minimum time. The clients can also manage their websites easily if a web developer gives important instructions to them. Attractive Web Design: It is very important to catch the attention of customers. Joomla offers free attractive commercial templates. This helps the developer to create innovative Websites. The templates can be customized according to the needs of the Business Website. Simpler Navigation facility: Joomla helps to organize the content of website and its layout. The web pages can be easily loaded, providing easy navigation to the customers. Support to Multi-lingual Content: Joomla is able to run website with multi-lingual content. It gives an opportunity to the buyers of different location to view the web pages in their language. Effective Management of Website: The professional developer can effectively manage the content of website with the help of Joomla. Its WYSIWYG editor allows modification of the content easily. Advanced Functions: There are plug-ins that will add to the cost for developing a HTML site. Joomla offers this plug-ins free of cost for increasing the functionality of the basic program. Shopping cart, videos, blogs, image galleries, directories and many more features can be added. Community Support: Joomla has the support of community and forums to resolve the queries of the users. Problems can be discussed in the forums and the experts can solve them effectively. 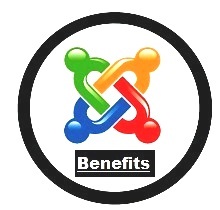 Joomla offers great benefits to the users. We at ZenGo! give you complete flexibility over the website and our CMS experts build it in such a way that it helps to increase your online business attentions. It helps the clients to exercise the full control over the content and modules with the help of administrative panel. Why are you waiting for? Call us today for all your Joomla website design needs. Next → Next post: Can Flash do Wonders for my Website?